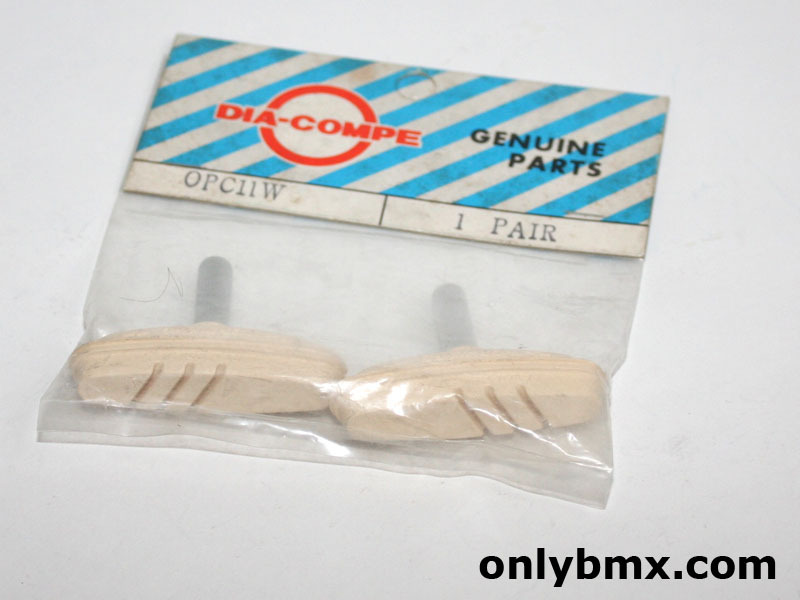 Pair of Dia-Compe BMX brake pads. These are for the AD990 style brake calipers. New in the packet white brake pads for any late freestyle BMX build onwards. 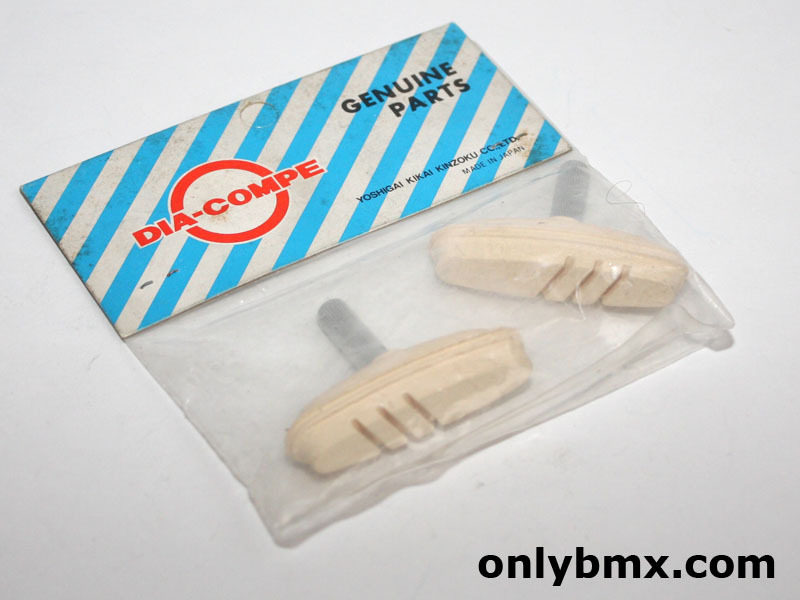 Use these on the rear and these Dia Compe freestyle brake pads on the front of many old school BMX bikes.